These two disparate films share common thematic elements—and it has nothing to do with the Hero’s Journey. One tells the story of an Earth-bound dancer who dreams of being the best that ballet has to offer; the other tells the story of a whiny farmboy who leaves his dusty home to fight against an Evil Empire. Two dreamers at far corners of separate galaxies. How exactly can one claim that there is anything remotely similar between the two? Because both characters face the same problem. When one steps back and takes a look at what is going on within a complete story, the process of problem-solving becomes obvious. A problem enters the life of a Main Character and the efforts that come as a result decide if the problem resolves. Everything else that has to do with “structure”—whether it be saving a cat, or entering a special world, or meeting the mentor—is a superficial construct built on top of the true reality that a story is about the efforts to resolve a problem. Resolution, however, is not always a positive thing. Peace of Mind or Emotional Turmoil? This device isn’t a spaceship; it’s a time machine. It goes backwards and forwards. It takes us to a place where we ache to go again. It’s not called the wheel. It’s called the carousel. It lets us travel the way a child travels, around and back home again to a place where we know we are loved. He’s speaking of Kodak’s new gadget, but we know he is speaking about himself. His issues of philandering and selfishness rest in resolution, but only with a great emotional cost. Don returns home triumphant—only to find his house empty, his heart denied the usual emotional catharsis that comes with most resolution. Combining a change of heart with the crush of emotional turmoil contributes to the honesty and sincerity many point to as strengths of the show’s writing. This first season of Mad Men is the exception to the rule that change equals happiness. More often than not, the resolution of a Main Character’s problem comes with a greater peace of mind, a release of personal angst. Returning the focus on this article’s titular characters, it is clear to see that both Nina and Luke experience this overwhelming sense of relief with their own personal resolutions. Luke Skywalker gets into trouble because he is always testing himself. Whether it’s in the bar with Tatooine’s ruffians or out in the rocks searching for R2, this drive he has to see how good he measures up is his problem. Nina Sayers suffers from the same problem. Whether it’s due to the pressures she feels from her mother constantly checking up on her, or her own inner drive to see if she can dance the dance of the Black Swan, Nina’s troubles find their source in this drive to constantly check the validity of a certain belief, in this case, that she can measure up. Dogfights in space and imaginary dance competitors are the various means with which each film communicates the effects of this problem, yet both films examine the same problem. And because both characters face the same type of problem, they both will find resolution in the same area. If someone experiences trouble because of a drive to check something out or because someone else tests them, their solution can only come in the form of trust. If you constantly check something and it only makes things worse, the best thing to do is to simply let go and trust that things will work out. In the same way that prevention can solve problems of pursuit (as in The Terminator), trusting something without checking first for validation solves a problem of test. Luke and Nina solve their individual problems precisely this way. Luke trusts the Force. Nina trusts her body. In both cases, each character lets go and stops looking for validation. And, unlike poor old Don above, both Luke and Nina find peace of mind at the end of their journey. They both receive the accolades they once thought were mere fantasies. Sure, Nina’s physical journey came to an end with the closing credits, but that sense of personal angst she struggled with throughout the entire film vanished with that final fall. If this seems too reductive, consider that this is only one part of the story’s real problem, the problem most personal to the Main Character. There are still the other characters in the story to consider who may, or may not—depending on the story’s dynamics—be experiencing a similar curse of validation. While both Luke and Nina experience the same problem of feeling like an outsider, the problems felt by the rest of their respective casts rest in completely different stratospheres. Black Swan finds its characters engaged in backstabbing and psychological manipulations as they climb up the ladder of New York dance. Star Wars explores the dangers of laser blasts and light saber battles. Can’t call them the same story there. This is why the two films are more like cousins rather than blood brothers. There are parts that are dead-on the same, while others sit at polar ends of the dramatic spectrum. Validation is not the only problem that can beset a Main Character. In addition to the problems of pursuit described above, you can have problems with feelings (Michael in The Godfather), problems with abilities (Harry Potter in Harry Potter and the Sorcerer’s Stone) and problems with trying to do too much (Remy in Ratatouille). Problems are as varied as the characters who experience them. The problem is key to making a story work. Identify the problem facing a Main Character and the corresponding solution that goes with it and the story’s structure begins to reveal itself. Only then can one recognize that the troubles of a farmboy in space come remarkably close to those of an aspiring dancer in New York. Both Nina and Luke face a problem of Test. In addition, they both lie in the Situation domain (alienated), Concerned with Progress (moving up the ladder of dance as her body slowly transforms into a real swan, growing beyond Tatooine), and face Issues of Fantasy (belief in the Force and fantasies that someone is out to kill her). And, as pointed out above, they both end with a Story Judgment of Good. But from there, the similarities begin to disappear. 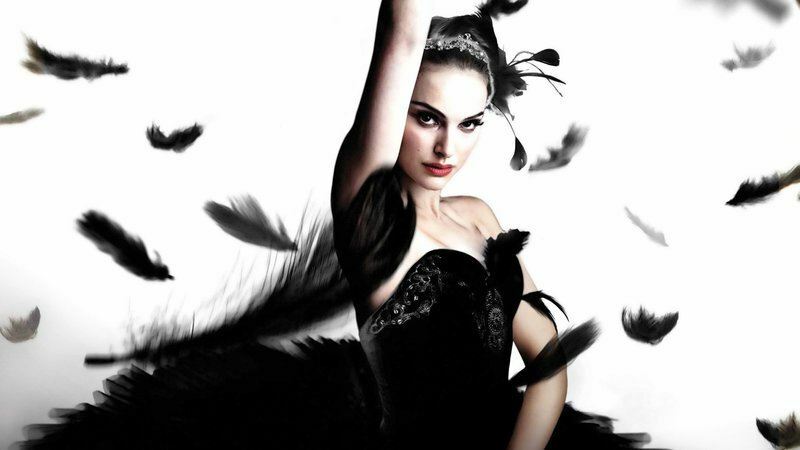 The Overall Story for Star Wars rests in Physics, while the OS for Black Swan lies in Psychology. Again, the difference between light saber battles and backstabbing your way to the top. It is interesting to note too, that because of this relation between the Overall Story and the Main Character, the kind of growth Nina and Luke have to go through before they can change heads in a different direction. Luke’s Growth has to do with Stop—he has to get rid of that chip on his shoulder that he doesn’t measure up. Nina’s Growth is one of Starting something. It’s not so much that she has a chip on her shoulder as it is that she needs to open herself up. Nina’s problem is ahead of her, Luke’s is behind him.